Hey and welcome to CS First Fashion. I'm Heather and I'll be leading you through a computer science exploration over the next eight days of this club. Today, you'll learn what computer science is, see the fashion and design projects you'll make in this club and have the opportunity to make your own computer program. CS First Fashion is a computer science club. 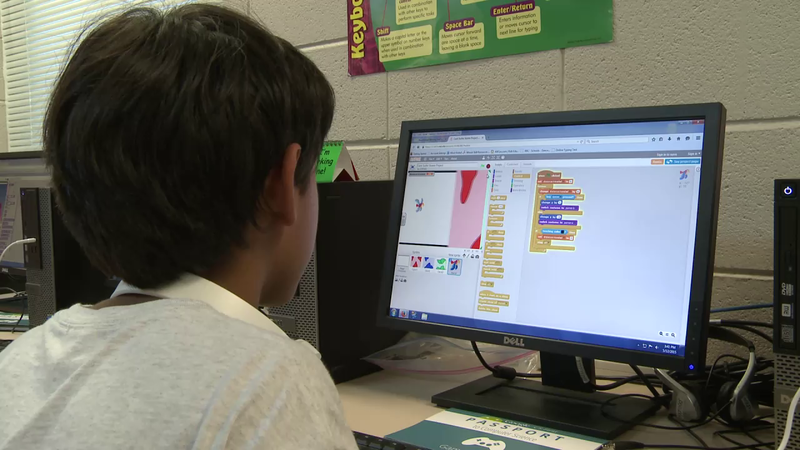 Computer science uses computers to make amazing projects also called programs that allow people to play, entertain, solve problems, do work and save time. In this club, you'll learn all the different ways computer science relates to things you do and see everyday. Computer science can be used in fashion and it also allows people to build all types of projects and solve many types of problems. From creating a game like Flappy Bird to finding cures for diseases. Over the next eight club sessions, you'll be introduced to some of the incredible creations people build and problems people solve using computer science. You will also learn how to use computer science to create your own fashion walk animation, stylist tool for accessorizing, an interactive party, a fashion pool for your club mates, a store window design, your own pattern, and a fashion awards ceremony. When this club ends, you will have a collection of your own computer science creations and will have developed a basic understanding of many computer science concepts. Think of these projects as examples or jumping off points for your own creations. You'll make your own decisions about how to design and program your projects and you'll get a chance to customize and personalize them. In the end, your projects may not look like the examples and that's okay. They will truly be your own original creations. This video will introduce how to open a starter project and sign in to Scratch. Watch this video to learn how, then try it on your own. Click the day one starter project link next to this video to open Scratch in a new tab. To save this project to your account, enter the sign in information in your passport. Take a moment now to make sure you're signed in to the CS First website using the username and password from your passport. If you're not signed in, you won't receive a digital badge for completing this activity. So be sure to sign in. Once you've done this, click the CS First tab. Then the arrow under this video to move on to the next video. In the next video, you learn how to tell a story of your own. Open the "Fashion Story Starter Project" link next to this video.